THE SOUTHWESTERN SEMINARY AT DARRINGTON. Hover over the main menu link to this page, and view many of our men’s seminary videos and photos. 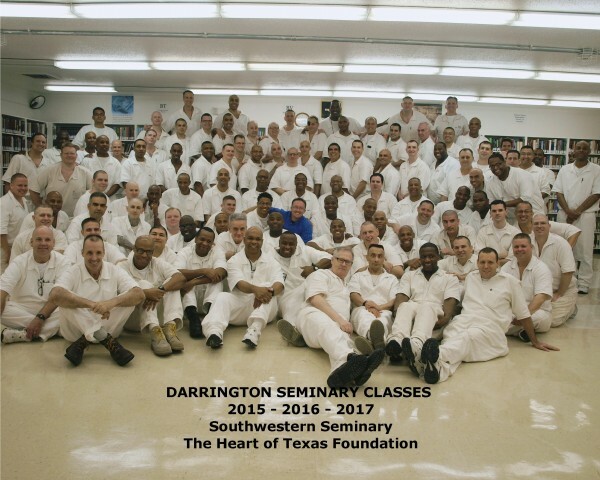 The Southwestern Seminary at Darrington penitentiary is an historic, fully-accredited (SACS) Seminary provided by The Southwestern Baptist Theological Seminary, and funded by The Heart of Texas Foundation donors.